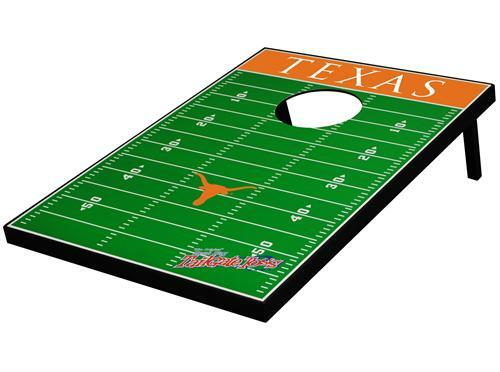 The Texas Longhorns Tailgate Toss Game, "The Original" Bean Bag Toss game, is the hottest outdoor game on the market. This exciting game can be enjoyed by young and old alike, packs up easily for travel and is perfect for tailgating or backyard fun. Each Texas Longhorns Tailgate Toss Game includes: instructions, 8 bean bags (2 sets of 4), and 2 boards (L 35 inch x W 23 inch) with your favorite team's logo and colors.